My question is why the big price difference? The only difference I can see is that the 1.08 carat diamond has a faint fluorescence. 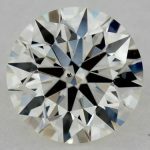 Could this be the only reason for a $400 price difference between the two diamonds? Can you see any reason I should be opting for the 1.07 more expensive diamond? Thanks for writing in. These are both very nice diamonds and will be eye-clean. 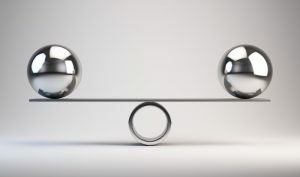 As to why there is a $400 difference between them…. Fluorescence isn’t the only difference between them. If you look closely at the details you will see there is also a difference in the girdle, measurements, and polish. Each of these can contribute somewhat to the price of the diamond. 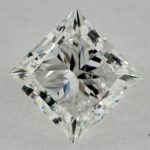 However the truth is that in this case I don’t believe the discrepancy is because of any one diamond characteristic and instead it is most likely due to the fact that the 2 diamonds are being sent to James Allen by different wholesalers and each is asking a different ask price for the diamonds. 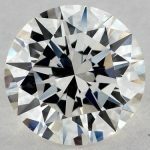 As you can read on both my diamond pricing page and on my Blue Nile review page many online vendors (including James Allen) are listing “virtual inventory” that is supplied by other vendors. The pricing in this case can vary for no (good) reason whatsoever. 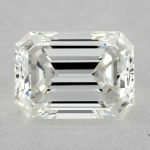 I have seen cases where one diamond was listed with a high price simply because the actual owner was on vacation and didn’t get a chance to adjust his pricing. 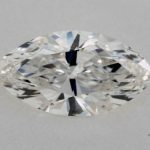 As for which diamond I prefer of these 2 – I would definitely save the $400 and go with the lower priced stone. These are H color and the fluorescence is only faint so it really shoudln’t not have a negative impact on the look of these diamonds.